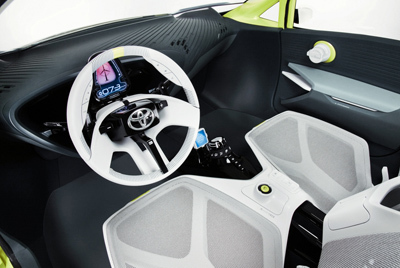 The Toyota FT-CH concept which was revealed at the 2010 Detroit Motor Show was a dedicated hybrid which was designed to expand and enhance Toyota's hybrid vehicle product range. 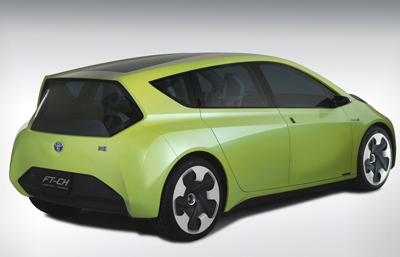 The FT-CH (CH stands for Compact Hybrid) was designed to sit below the Prius in Toyota's eco lineup. Lighter in weight and even more fuel efficient than Prius, the FT-CH would be cheaper than its big brother, thus appealing to a younger, less-affluent buyer demographic. The European design team which styled the FT-CH tried to capture the vivid, high-energy appeal of what has come to be called the 8-bit generation. Popularized in the early 80's, 8-bit microprocessor technology dominated the budding home video game industry. Today, 8-bit is considered a specific retro-style that is embraced by such things as 8-bit genre music and 8-bit inspired art - I bet you never knew that! Either way the sickly green paintwork and mismatched styling certainly has some affinity with the 80s. 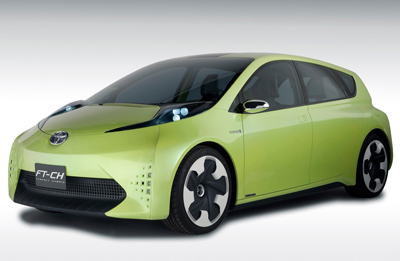 Within the next few years Toyota hope to sell a million hybrids per year globally, a majority of those in North America. 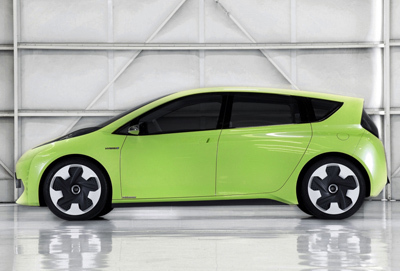 To accomplish this Toyota plan on launching eight all-new hybrid models in the next few years. The FT-CH marks the start of this build up.